On Wednesday 25 January, Burns day, we celebrated by gathering a team of enthusiastic staff together to descend upon the collection of aircraft at the National Museum of Flight. The aim was to clean the collection in hangar two in preparation for the new season. We had staff from across different departments within National Museums Scotland: Visitor Services staff based at the Museum of Flight, Collections Management, Conservation, Science and Technology and Human Resources. Volunteer John Thomson cleaning the Jet Stream. Conservation provided the bulk of the cleaning and access equipment, and produced the method statements and risk assessments for the day. 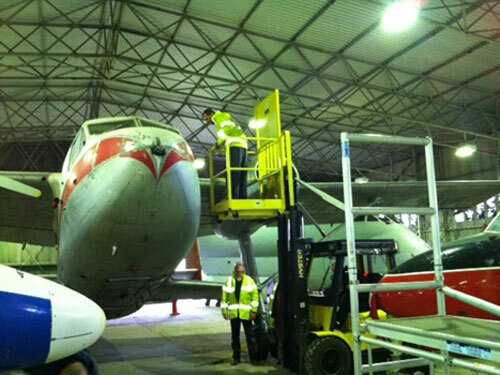 With ladders, steps, scaffold, mobile platform and the forklift with the cage we were able to access all levels of the different aircraft. Preventive Conservation Officer Katie Haworth cleaning the Dragon engine. The plan was to tackle hangar two and to develop a methodology with a view to coming back and cleaning the collections in the other hangars at a later date. Everyone was really enthusiastic and worked hard, which meant we finished cleaning the collection in hangar two with time in the day left over. This allowed for some of the team to move into hangar three to clean the smaller, more accessible aircraft and then finally move onto a few aircraft in hangar one. All in all, it was a very satisfying day demonstrating collaboration across departments and an enthusiasm for the care of the collection at National Museum of Flight. We will be planning more activities like this in the future. 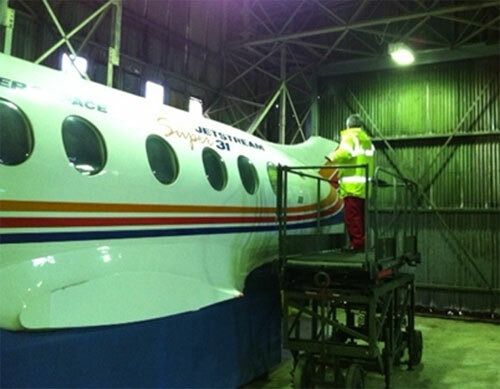 Aircraft conservator Thilo Burgel high level cleaning the Twin Pioneer. 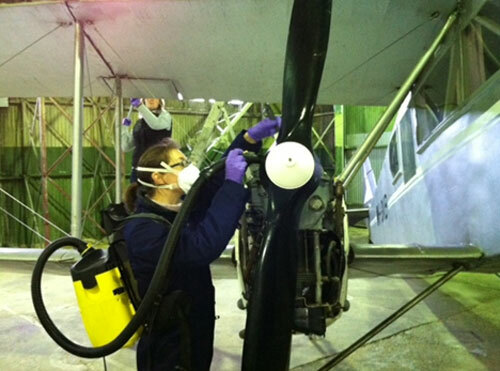 Come and see the gleaming aircraft at the National Museum of Flight this half-term! From Saturday 11 to Sunday 19 February the Museum is open every day 10:00-16:00 and we’ll be taking you back in time to experience life during the Cold War. Find out more about our half-term events here.